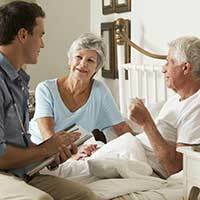 This entry was posted in Public Policy, Special interest and tagged Assisted Suicide, Euthanasia, Palliative Care on March 21, 2017 by ACBC Communications. A seminar on the relationship between architecture and liturgy in Catholic church design took place at the Secretariat of the Bishops Conference on January 11 and 12. The two day seminar, ‘Building for the Liturgy’, surveyed the history of church architecture, with particular emphasis on architectural principles and the evolution of the liturgical setting. The Seminar also addressed the challenge of reordering older churches for the celebration of the liturgy today. 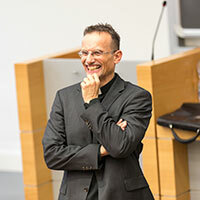 The seminar focused on the foundations of Christian architecture, liturgical architecture from the New Testament to the 20th century liturgical movement, the challenge of contemporary architecture for designing churches and liturgical architecture after Vatican II. The seminar is an initiative of the National Liturgical Architecture and Art Board, an advisory body to the Bishops Commission for Liturgy. 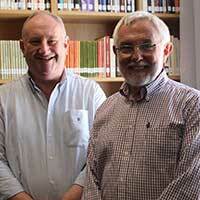 The seminar was led by Fr Stephen Hackett MSC, General Secretary of the Australian Catholic Bishops Conference, and Mr Harry Stephens, a partner of Sacred Space Architects, designing and consulting on liturgical architecture. This entry was posted in Bishops Commissions, Special interest and tagged Architecture, Liturgy, seminar on January 12, 2017 by ACBC Communications. The Year of Youth celebrates ten years since World Youth Day was hosted in Sydney during 2008. It will focus on the theme, ‘Open New Horizons for Spreading Joy: Young People, Faith and Vocational Discernment’. 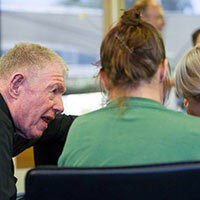 The emphasis is on local discussion and dialogue in parishes, schools, youth groups and dioceses. 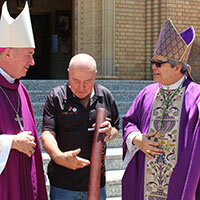 Delivering the invitation, Archbishop Denis Hart, President of the Australian Catholic Bishops Conference said, ‘In 2018, we want to engage with youth in new ways and they with us, helping young people to encounter God in Jesus Christ and his Church. Open your hearts to the life God intends for you and so make a real difference in the world’. 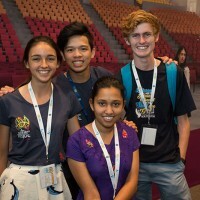 This entry was posted in Bishops, Press Releases, Special interest and tagged Year of Youth 2016, Young People, Youth Ministry on December 7, 2016 by ACBC Communications. 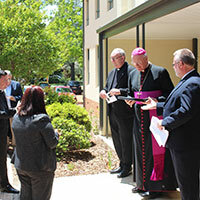 Archbishop Denis Hart, President of the Australian Catholic Bishops Conference, officially named and blessed McGilvray House and The Dougherty Centre in Canberra today, 15 November 2016. The former St Patrick’s Convent was renovated over the past 18 months. It is located beside the Bishops Conference Secretariat. This home of the Mercy Sisters was officially named and blessed as McGilvray House after Mother Mary McGilvray. This entry was posted in Bishops, Special interest and tagged McGilvray House, The Dougherty Centre on November 15, 2016 by ACBC Communications. In the middle of maximum security Silverwater Women’s Correctional Centre, Sydney, a converted demountable classroom has been transformed into a chapel. 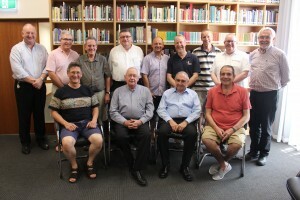 Bishop Terry Brady, Australian Catholic Bishops Delegate for Prisoners along with 50 inmates, volunteers and prison chaplains, gathered to celebrate Mass on Sunday 6 November, the Jubilee for Prisoners. During a moving service, the inmates and the chaplains held up the struggles of life in prison to God’s care and sought help to endure. Through the hymns and prayers, the prisoners who came voluntarily, readily participated in the service and expressed their gratitude for the opportunity. This entry was posted in Special interest and tagged Bishop Terry Brady, Jubilee for Prisoners, Silverwater, Year of Mercy on November 7, 2016 by ACBC Communications. 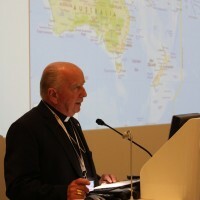 Bishop McGuckin addressing the European Bishops. As Vice-President of the Federation of Catholic Bishops Conferences of Oceania (FCBCO), I represented FCBCO at the Plenary Assembly of Council of the Conferences of the European Bishops (CCEE) which was held in the Principality of Monaco, 6-9 October 2016. Unlike our Plenary Assemblies, on the whole it was mainly the Presidents of European Bishops Conferences that are involved in the Plenaries. Even then the number at the Assembly was approximately 80. Various reports were given and tabled at the meeting: Migrants and refugees; family and gender ideology; Observatory on Intolerance and Discrimination against Christians in Europe. This entry was posted in Bishops, Special interest and tagged Dialogue, European Bishops, Federation of Catholic Bishops Conferences of Oceania, Synodal, universal Church on November 1, 2016 by ACBC Communications. 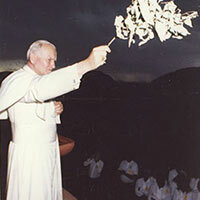 November 2016 marks 30 years since (now Saint) Pope John Paul II issued his ground breaking address to Aboriginal and Torres Strait Islander peoples in Blatherskite Park, Alice Springs. This entry was posted in ACBC agency news, Special interest and tagged Aboriginal Communities, Alice Springs, Culture, Indigenous Spirituality, JPII, NATSICC on October 31, 2016 by ACBC Communications. 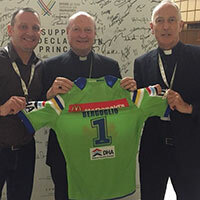 Monsignor John Woods, Priest of St Christopher’s Cathedral, Canberra and Chaplain to the Canberra Raiders rugby team, attended the inaugural Sport at the Service of Humanity conference at the Vatican in October. The conference was the first global conference on faith and sport, with the Vatican hosting representatives from across the world to affirm the power of sport for human good. The purpose of the Conference was to unite people from every faith, nationality and culture through sport, in a common goal: To help the ones who need it most, especially the marginalised and the disadvantaged, and to encourage everyone to develop their life skills, character, values, and enjoyment of life itself, through sport. This entry was posted in ACBC agency news, Special interest and tagged Australian Ambassador to the Holy See, Canberra, Humanity, Raiders, Sports Chaplaincy, St Christopher's Cathedral on October 31, 2016 by ACBC Communications.